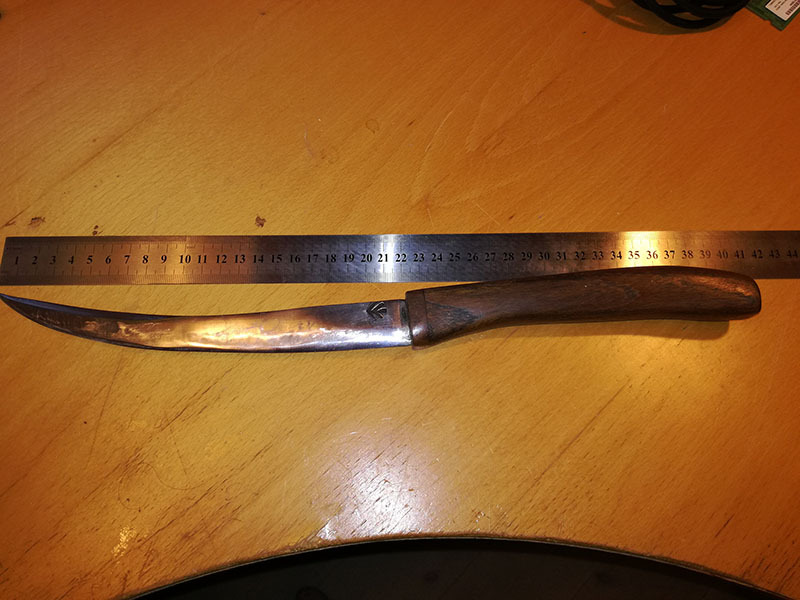 Hello all, long time lurker here, and now i need a bit of help identifying the source for a dagger. 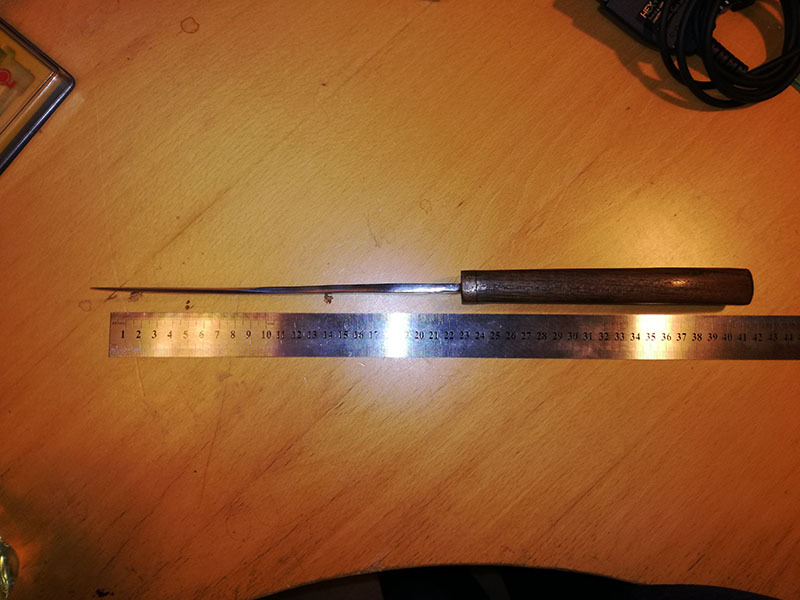 I have a friend that bought a curved, single egded dagger, and was tod by the seller that it was a copy of a german 15/16th century hunting/fighting dagger. He wanted me to make a simple sheath for it and since i liked the shape i made a slightly longer copy for my self while i had it. 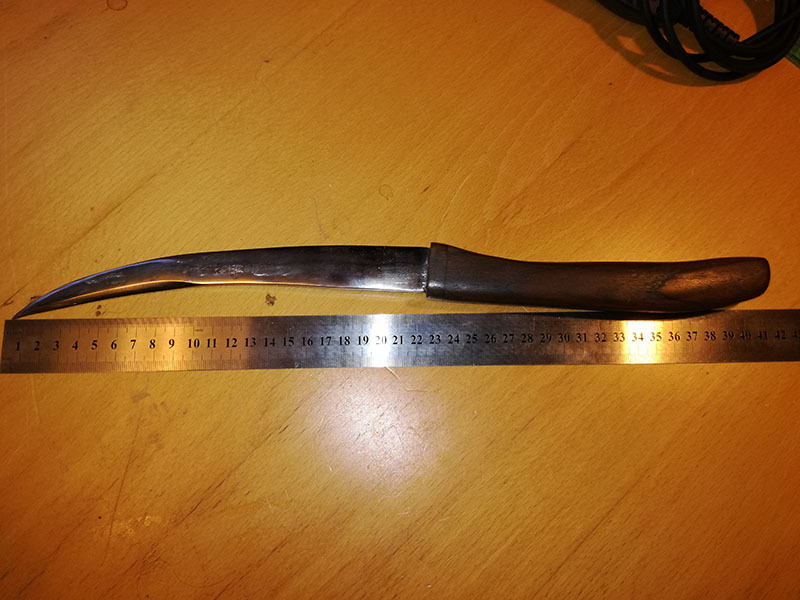 The problem now is that i find it interisting enough to replace my old reenactment dagger as a "daily driver" while on mediavel fairs, so i need to find a plausible source for it. After spending some days looking around the net, aswell as my library i have seen 2 possible matches. One is a closed action listing that have some of the right shape, the other is a drawing from “An Illustrated History of Arms and Armour: From the Earliest Period to the Present Time,” by Auguste Demmin, where the blade seems to match, which calls it "Iron dagger, about 19 1/2 inches long, end of the fourteenth century". So if anyone in here can pitch in with an idea, it would make me a happy man. I have included a few pics, if better are needed just say so, total lenght is ~16,5 inches. But I don't think I've seen one with that shape.